Switzerland is a land of charming stereotypes…..idyllic mountain meadows nestled below soaring peaks…..Heidi-like villages where the Alpine air resonates with the clang of cow bells and church bells…..a country where fast trains whisk you between bustling cities and old lake steamers glide lazily between centuries-old villages. What makes the country so fascinating is that the stereotypes are real, so real, in fact, one could argue that they barely scratch the surface…..
Little Switzerland has always been one of Europe’s most popular travel destinations. Ask just about any traveler who’s been there and you’ll be regaled with descriptions of spectacular scenery, great hotel experiences, après-ski chicness, Heidi-like mountain villages and a modern, comfortable transportation system that runs with Swiss-clock-like precision. Experience it for yourself and you’ll discover there’s much more, once you peel back the stereotypical veneer. You’ll discover a multi-faceted destination that transcends the tourist-brochure hype, one that provides a world of experiences for just about any type of traveler. No wonder it’s on so many bucket lists. If it’s on your list, here are some must-see’s to get you headed in the right direction. When flying in or out of Switzerland I’ve found that Zürich is a good place to begin or end a vacation since its airport is top-notch. It’s not only modern, but also close to the city by train, only a 10-minute ride. And you can take a train from the terminal and connect to anywhere in the country or throughout Europe, for that matter, since Zürich’s main railway station is regarded as a central European railroad hub. Set on the northern shores of Lake Zürich with a magnificent view of the snow-capped Alps on the horizon, Zürich has a multicultural flair. The city’s downtown offers a unique mixture of attractions – over 50 museums and more than 100 art galleries, shops selling international and local fashion labels, and the most flamboyant and lively nightlife in the country. Recreational activities range from sailing on the lake in the heart of the city, to a spectacular hike on the Uetliberg Mountain. There are some very good tours both in and outside the city. Travelers find the city’s old town, with its quays, lakeside promenades, elegant shops, parks and lively side streets, an inviting place to stroll. 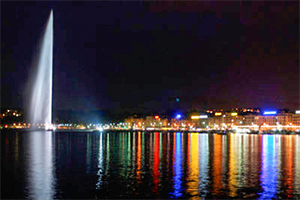 The famous Jet d’Eau, a fountain with a near-500 foot-high water jet that is set in Lake Geneva, is an icon of the city. Culturally, this city on the westernmost fringe of Switzerland has much to offer. International artists perform in the Grand Théâtre and the Opera House, and there’s a diverse range of museums including — what else — the Musée international de l’horlogerie, a watch museum with a collection of jewelry watches and musical clocks. Travel outside the city to experience the beautiful views on a trip up one of its nearby mountains, or enjoy a steamship cruise along the beautiful lake. 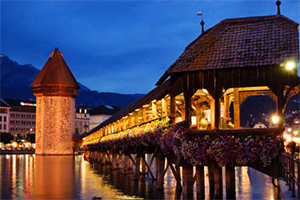 Lucern is also a good starting point for excursions about central Switzerland. DK Eyewitness Travel Guide Switzerland These are my go-to guides all over the world since they are packed with information and illustrations found nowhere else. Lonely Planet Switzerland These guides are also excellent and have developed a wide following among travelers worldwide. Switzerland: A Guide to Exploring the Country by Public Transport The unique Bradt’s Guide tells you how to get the most from traveling through Switzerland on the world’s finest public transport network – which explains why so many Swiss don’t own cars. Interlaken, in Switzerland’s Bernese Oberland Region between Lake Thun and Lake Brienz, is presided over by the three mighty mountains: the Eiger, Mönch and Jungfrau. It’s considered the adventure capital of Switzerland, thanks to its 45+ mountain railways, cable cars, chair lifts and ski lifts that bring skiers and hikers to 150 miles of slopes and a dense network of trails. In the warmer months paragliders head for Beatenberg-Niederhorn, a popular area just 7 miles away, while those with less lofty ambitions enjoy cruises on Lake Thun and Lake Brienz aboard excursion boats, including historic paddle steamers. The Lake Geneva Region, encompassing Lausanne. Lauvaux and Montreux, boasts two UNESCO World Heritage Sites. Beautiful Lausanne is built on three hills, and surrounded by vineyard-covered slopes, with Lake Geneva at its feet and the Savoy Alps of France across the lake. Its old town, dominated by a cathedral that’s the country’s most impressive piece of early Gothic architecture, with cafes and peppering the medieval city center. It’s so picturesque it’s not surprising the International Olympic Committee has been based here since 1914. 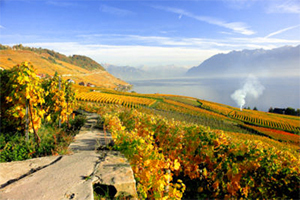 Nearby Lavaux is a wonderful world of vineyard terraces. At 800 hectares it is Switzerland’s largest contiguous vineyard area with terraces that not only offer magnificent views, but also produce such fine wines as St-Saphorin, Dézaley and Epesses. You can taste them on visits to one of the charming pintes, mini-restaurants typical of the Lavaux. Further along the lakeshore Montreux hosts the world-famous Montreux Jazz Festival every June/July. This pretty lakeside city is surrounded by vineyards set against the breathtaking backdrop of snow-covered Alps and nearby Chillon Castle, immortalized by Lord Byron, is the most visited attraction in the entire country. 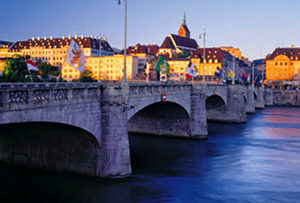 Shoehorned between Germany and France, and bisected by the Rhine, Basel is the third largest city in Switzerland. Given its geographical position it comes as no surprise that it has a diversity of cultures, as well as a multifaceted history. It also boasts a wealth of modern art and architecture, and its nearly 40 museums give it the highest density of museums in the country. Among them are the internationally known and popular Basel Art Museum, the Fondation Beyeler and the Museum of Cultures, all of which attract a great many visitors. Basel’s symphony orchestra, chamber orchestra and musical theatre features international productions. Travelers know this “City of Art” for its historic landmarks, including the large market square with its richly decorated red sandstone town hall and the late Romanesque-Gothic cathedral. It’s a fascinating city that comes alive on several fascinating tours. In the Valais region of Switzerland, popular Zermatt lies at the foot of Matterhorn, the most photographed mountain in the world. It’s located in the middle of an enormous hiking and ski region that encompasses 63 mountain railways and more than 200 miles of slopes. High above the city the area called the “Matterhorn Glacier Paradise“ is Europe’s largest and highest-lying summer skiing region, a place where many national ski teams train in the summer. The region is legendary among mountaineers: the Haute Route, a challenging international route that takes several days to complete, leads from Mont Blanc to Zermatt. Over 400 kilometers of hiking trails lead through and out of the Matter Valley, including the mule traders’ trails, which date back to the 13th century. Located at 1,800 m above sea level in the alpine canton of Graubünden, the 13 towns and villages of the Engadin St. Moritz region are blessed with 322 days of sunshine a year, and enjoy a gloriously mild microclimate. Travelers are lured to the area by its chicness, authentic village traditions and unspoiled nature. The Upper Engadin provides spectacular mountain views, a seemingly endless expanse of lake plateau and, to some, a magical quality in the light. 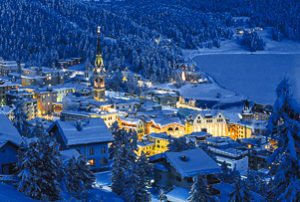 The area has a fascinating cultural heritage – while Romansch is its official main language, German is spoken in St. Moritz, Italian in the neighboring valleys, French at the Club Med and a lot of English at the Cresta Run, a toboggan track that winds its way from St Moritz down past the tiny hamlet of Cresta, to the village of Celerina. 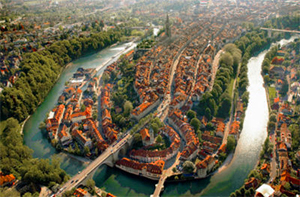 Of all of Switzerland’s cities, it’s Bern, the capital, that’s most immediately charming. Crammed onto a steep-sided peninsula in a crook of a fast-flowing river, its quiet, cobbled lanes are lined with sandstone-arcaded 500-year old buildings that have changed little over time. The hills all around the city, and the steep banks of the river, are still heavily wooded. The old town of Bern is a UNESCO World Heritage Site, thanks in part to its four miles of arcades, which the locals refer to as “Lauben,” making it the longest weather-sheltered shopping promenade in Europe. Views of the area, especially of both the Old Town’s clustered roofs and of the majestic Alps on the horizon, are beautiful. The Mediterranean region of Europe seems to begin on the south side of the Alps in Ticino. There’s a feel of Italy here, with palms and citrus trees scattered about, and streets winding their way down to little piazzas. It’s Switzerland’s only Italian-speaking canton and it shares the Italian love of food, wine and la dolce vita, the later somehow coexisting with the Swiss need for regulations and rules. The city of Bellinzona, capital of the canton, boasts three castles, and a defensive wall and ramparts of the old market town that are listed as UNESCO World Heritage Sites. A half-hour to the south is the lovely city of Lugano, set on the lake of the same name. 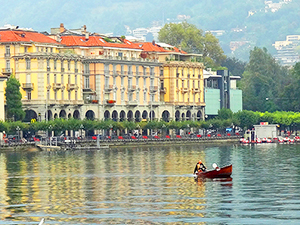 In the Lake Maggiore region the lakeside town of Locarno enjoys what is probably the best climate in Switzerland, with nearly 2,300 hours of sunshine annually and an average annual temperature of 60°F. The town has several cultural events, including an international Film Festival. 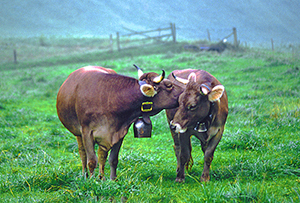 Although not as popular, or as well known as the other Swiss cantons, the Canton of Appenzell Innerrhoden is known for rural customs and traditions such as the ceremonial descent of the cattle in autumn and cultural events such as folk music and rustic dances, as well as hiking and biking tours in the Alpstein region. It’s the smallest Swiss canton with only about 7,000 inhabitants, something that makes it appealing for those who want to escape the tourist crowds. Basel is on my to-do list … early December, Christmas market. I can even pick up a Christmas markets river cruise in Basel …. I love Switzerland in the winter. Thanks for featuring it. I spent a few days in Basel in November prior to my river cruise. I loved every minute of it and plan to go back someday. The museums there are wonderful. You’re welcome Gabi. Hope it was helpful. i want to see these places on ground that is my choice. These are the most beautiful places of the world. i love them. You’re lucky to be headed to Switzerland Masrur. I don’t know how long you’ll have there but I’d visit Interlaken, Lucerne, the Lake Geneva area and Zermatt and then at least one of the large cities such as Zurich. That will all take quite a bit of time. Wherever you go, though, you’ll find Switzerland to be a beautiful place. My family and I will be picking up a car in Munich and we were hoping to spend 2 nights in Switzerland. We have 2 boys ages 7 & 8, so we are looking for places to see and things to do. Any help would be appreciated. I am thinking we will stay in Northern Switzerland due to the fact that we only have 2 days there. A cheese factory and chocolate factory are on my boys to do list if you can recommend any. Thanks for you time and all the information you have already provided. It’s difficult to suggest anything without more information about where you’ll actually be. Are you planning to travel from Germany to Austria and then to Switzerland, or only into Switzerland? Can you provide more information about your overall trip? Hi, 🙂 It was nice reading your post..!! I’ll be visiting switzerland between 16-21’sep, for the first time. And during the days 16-20’Sep, I’ll be busy in official work untill 3-4pm, and on 20’sep at lunch.. i plan to go to zurich for the last day stay, and take flight on 21’sep at 4pm. but during the days 16-19’Sep.. i intend to visit more of switzerland, in a way that i come back to baden late night (11-12 at night)…, can you please suggest me what to plan..? Will it be possible for me to visit alps.., as i have heard of its beauty.. alot..?? It really seems that you’ll be quite busy in Switzerland! I think that you need the assistance of experts to help you map out your travel plans, people who can tell you what’s really possible given your schedule. The best thing for you to do is go to the Swiss tourism website and look there for a Swiss tourism office near you and contact them directly. They should be able to give you help. Go to http://www.myswitzerland.com. lac la mar. I am considering another trip to Switzerland this year,maybe Locarno. That’s great to hear Allreza – I’m going there at the end of September this year. I’ve always loved Switzerland in September and October. Why do you love Switzerland in October. Isn’t it too cold. Depending on your reply i would visit in October this year. I always enjoy Switzerland most in September and early October because the prices and number of tourists often decline then. The weather in those months is also near-perfect; it’s not yet cold and the heat of summer is gone. And the flowers are still bright and plentiful, making everything picture-perfect. I am planning for my honeymoon(9 days) in europe(swiss+paris+venice) and out of those 9 days I am planning to spend 4 days in switzerland. It would be good if you could help me in prepairing the itineary. I would like to keep Zurich as my base. Please help me in making this moment really very special. I wish I could help you plan such an important trip, but it is best if you contact the Swiss Tourist Office directly, since I know they can provide you the most updated information possible. If you go to their website at http://www.myswitzerland.com, you can locate the office that will best serve you. My suggestion is stick to Switzerland or Venice for this trip. If you only have 9 days you have to subtract the time it will take traveling to Venice and Paris. I have been traveling to and within Europe for 40+ years and always attempt to discourage an overly ambitious whirlwind trip that leaves you exhausted and with seeing little but blurs of places you visit. When is this trip? That makes a big difference in your planning. If it is in the season when the lake district is open (May-Oct)you would be well served to focus on Lake Como (Villa Serbelloni) in Bellagio for three or four days where you could relax and take the boats around to the scenic villages and have a real memory by having a romantic boat ride to Isola Comacina for dinner. You could train to Kandersteg, a small Swiss village and stay at Waldhotel Doldenhorn for a memorable mountain experience or go all the way up to the spectacular setting of Wengen and visit the Jungfrau. Venice and Paris each deserve more time. I planned a honeymoon for friends recently and the bride insisted on throwing in Paris which they now agree “was too much traveling”! Good Luck. Can you please jot down recommended places in Switzerland. I have 10 days and want to enjoy. Wife is insisting on lil bit of Italy for 2 nights in Venice. Although Switzerland is good any time of year, a lot depends on the time of year you be going. For example, in the winter months you can’t take lake steamers, which are quite enjoyable. But in the winter you can also enjoy the fantasy of such mountain towns as Zermatt. Look through other comments on this post and you’ll get a lot of good info. I’d also suggest either Zurich or Geneva (depending on your preferences) as well as places such as Interlaken and Luzern. Get a Swiss Rail Pass which will allow you to travel all over the country. And I agree with your wife — if you’ve never been to Venice I’d spend a couple of nights there, as well, but it all depends on the season. You don’t get the full impact of Venice during the winter months. Six people (5 women and one men aged 55-65 years) will have a holiday during 12-26 May 2014. We would like to go to Italy and Switzerland. Any suggestions? Actually, I myself would like to spend time only in switzerland. I think the cost of visa and trains for only one country is much lower than for two countries, isn’t it? My husband and I will be in Switzerland & Austria 2 weeks from now, Feb 2-15….what are your top Winter activities during this time? Thanks! How I envy you going to Switzerland and Austria – especially in the winter. Many people only visit in the summer months but both countries are beautiful in the winter. There is so much to do in both countries in the winter I think it best if you visit the tourism sites of both to get detailed up-to-the-minute information. I’m not trying to put you off but I think they will be a much better source than me. Have a wonderful trip! I’d enjoy hearing about what you did when you return. please suggest a trip plan. Really it’s a amazing place even I did not go there but Switzerland is my favourite place..
Really Switzerland is so beautiful country in world. Slightly frustrating, for a Swiss, that you stuck mainly to cities- Switzerland is of course quite urban in places, but our rural Areas are really the places where you can find the most ‘authentic’ experience. By the way, from the comment above from the Europe expert- Lake Como is not (at all) in Switzerland!! we went to zurich, lucerne, spiez, brienz and ballenberg and went back through bern, they are all magnificent, very beautiful places, his year in may we are going back to switzerland for holiday and this time i’m going to stay longer in lucerne and spend the whole day in zurich before flying out, only 2 nights in switzerland this time, but is worth it. mainly greenland & mountain & beautyful city. All of the places we’ve described in this article are considered by many to be Switzerland’s most beautiful areas (although you’ll find little beautiful places all over the country!). If I were you I’d just focus on one area of the country to give you a “taste of Switzerland.” One good area to visit would be Lucern, Interlaken and Zurich which will give you a taste of a major city, the mountains and lakes. You’ll love it! I and my husband are going to Switzerland for jus three days. We are planning to be in lucerne for 3 days and go for day tours FRM there for three days…can u suggest wat all places should we go as we have only three days in hand. I certainly think that a day trip to Zurich would be most worthwhile, since it’s very different from Lucerne. There are other good places as well and to get info from the best source possible I’ve written to a friend in Lucerne to ask her opinion. When she gets back to me I’ll share her recommendations with you. We are travelling late this summer with an 8 & 5 year old to Switzerland. We arrive in Zurich (stay for 5 dyas) and were planning on going afterwards to Zermatt for 3 nights. But now, doing more research, seems we would be missing out a lot if we skip Interlaken region. We are there for a full week. Seems we need to choose between Zermatt and Interlaken. They also wanted to se some castles while there. Advice give the ages of the kids? Thanks so much!!! Given the ages of the children, I’d suggest you visit Interlaken and not Zermatt. Zermatt is a beautiful place but there’s much more to pique the interest of children in Interlaken. If you want to do some things that will be rewarding for you and exciting for a four-year-old I’d suggest visiting Zurich and then Interlaken and/or Lucerne. Be sure to spend an afternoon on a lake steamer for a great experience. It’s also a great place to have lunch — if the boat doesn’t have restaurant facilities bring your own picnic lunch! My husband and I are going for the first time to Switzerland on December/2014, we are going to stay for only 3 days. We will be coming from Paris. Do you know if Paris has a train that goes to Switzerland?? I have never being in Paris either so I have always want to do that beautiful train trip that we see on the movies. My husband and I are 29 years old, so we thought about to go to Zurich, but I want to see all the beauty that I can from Switzerland. Do you suggest anything in particular for us to do? You’re going to have a great time! There are a number of trains that go from Paris to Switzerland. What you should do is go to RailEurope’s website where you can plan your trip (http://www.raileurope.com) or call them at (888) 438-RAIL (7245). I envy you and your husband! Sorry to bother but I have one more question. I am searching several websites and some of them are talking about this Christmas Market festival. Is this Market in Zurich? Do they open every day? I will be in Zurich from 22-24. Many of the larger towns and cities in German-speaking Europe have Christmas markets. They should certainly be open every day, especially that close to Christmas. It’s something you don’t want to miss. If you’ll be traveling about Switzerland by train for three days (stopping in places to overnight) it should save you some money if you buy a pass. Traveling by train in Switzerland is a wonderful way to see the country. We haven’t been to Switzerland yet but it looks amazing! Thanks for the recommendations! Great blog, guys! Thanks a lot for connecting with us on Twitter! Keep up the great work and travel safe! I m planning vocation 2 week of August and I have three kids with me. Pls advice a few life time memorable place. We are cmg from Dubai. Pls advice. Switzerland is a great place to take a two-week vacation. There’s a lot to do — go up into the mountains for the wonderful vistas, see the small mountain villages, take a lake steamer across beautiful lakes. Since you have children in tow I’d suggest that you contact the Switzerland Tourist Office nearest you to get information on experiences that will also excite the children. Have a great time. My husband and I are taking our two children (9 &7) (going on 30! they love traveling and are obsessed with European history ) lol, as well as my inlaws throughout Europe starting July 25th. The last leg of our trip we will be heading out from Paris (by train) to To Switzerland and then on to Germany (where my mother in law is originally from) staying in Munich at the Mandarin Oriental and taking day trips throughout the small villages/cities etc.. My problem is Switzerland; this is the leg of the trip I’m responsible for planning and I know not the first thing about it. We have 4 or 5 days at our disposal. We absolutely LOVE every aspect of traveling and since we will be hitting many major cities throughout our journey (London, Paris, Munich) my hope was to experience authentic, beautiful areas of Switzerland. I am trying to avoid train rides longer than 4 hours at a time and it’s important to us that our hotel accommodations be up to par (we typically stay in 5 star properties) we are open to amazing B&B if that’s something you would suggest but mostly I would like to know what cities you feel would be the best for us to experience on our way to Munich. Any suggestions you have would be immensely appreciated. Thank you!! I apologize for being a bit late getting back to you – it appears you’ll be departing today – but there are a lot of things to do in Switzerland. First off, I suggest you get Swiss rail passes which will give you freedom to move about as you like, and save you some money as well. With only four or five days in Switzerland I suggest that you visit Zurich and then take a train to Interlaken, a beautiful lake town where you could take a lake steamer for a day (I’ve enjoyed having lunch on them) and also see the surrounding countryside. Another alternative closer to Zurich would be Lucern. In regard to hotels, you’ll find plenty of upscale hotels all over Switzerland. Thank you so much for the response Jim. I am happy to say we are on the right track with our itinerary regarding Switzerland, as we decided to head to Zurich. We will be staying at a hotel in the midst of the city (starts with a W can’t remember the name right now). 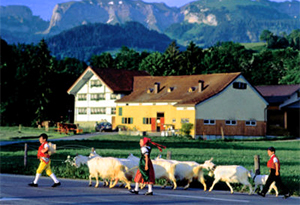 We will definitely take your suggestion regarding Interlaken. Again, thank you for your reply, it was very helpful and greatly appreciated! Zurich to Interlaken is an easy and comfortable two-hour train ride. Have a wonderful trip — I wish I was going with you! My Husband and I are taking Viking River Cruise starting point is Amsterdam and end at Basel,Switzerland, an 8 day cruise. We hate to spent so much money for the flight over there and not see much of the country. Any suggestions? You are so right — it would be a shame to travel all that way, and spend so much money, and not see more of Europe. I don’t know how much time you have after your cruise but I would definitely get a Swiss Eurail pass that can take you all over Switzerland in comfort (European trains are a lot more comfortable than anything we have in the U.S.). You can also get a regional pass — good in Switzerland and one other country such as France, Austria and Germany. Don’t miss this great opportunity to see more of Europe — you’ll love it! its wonderful to have plethora of information shared here abt Switzerland…it is almost like visiting Switzerland thru ur eyes…. my husband n me are planning a small but worthy trip to switzerland..one of his friends stays in zurich..we will be staying with him only.. i wish to know what all nearest most wonderful places we can visit from zurich via train or car n return to zurich again evryday…is it possible?? or we have to stay in each suburb wherever we go? There are many places to which you can take day trips outside Zurich. Lucern is one city the immediately comes to mind. Go to http://www.zuerich.com/ and also contact the Zurich office through that site to get a better list of places than I could give you. They’ll also be able to give you train info. Have a good trip! Hi im going to switzerland for a week this mid september. I am looking for outdoor activities to do (hiking,paraglide,cliff jumping etc,not really extreme though). Which area would you recommend? Switzerland is great! Tell me what type of experiences are you looking for? Big city, small city, culture, outdoor adventure, etc.? Hi Jim, we are a group of 8 adults planning to fly into Switzerland from Nice for a couple of days only in early to mid-June next year. We are interested to see the Alps and maybe go up to it in a cable car or train and also go to one very picturesque Swiss town/city which will be a good representation of Switzerland since we only have 2 days to spend there. Which places do you recommend so we can both see the Alps up close (is there snow in June?) and experience the essence of Switzerland? And is this doable at all? Thanks for your help. This sounds like quite an adventure that should be very enjoyable. I’ve just returned from Zermatt, Switzewrland last week and it would fit all your requirements. I do have one caveat however: it can be expensive. On the other hand you’ll get view of the Alps that you’ll get nowhere else (we were looking our across the Alps, into Italy and at the nearby Matterhorn after taking a cable car up to the 13,000+ foot station). There’s also snow up at that level because of the glacier, although it would be minimal in June. It’s a fairly long train trip though, about 10 hours. Look at the site Rome2Rio.com — it’s a very good site that shows you the best transportation options for wherever you’re traveling. I use it all the time. Thanks Jim! Your reply is much appreciated. Looking forward to our Switzerland visit next year. Planning for 5 day visit with my family, heard so many good words about the places. Your post will be really helpful in planning in advance. Thanks a lot. You have great knowledge of Switzerland. I am planning to visit Switzerland with my wife and 12 year old son around mid to end April starting in Zurich, I do want to see small picturistic villages, visit Jungfrou, Lucern, Interlaken what to see & do. What weather will it be? where to start & where to end. Many thanks. It sounds like you have a wonderful trip planned. I suggest that the best thing you can do is to contact the Switzerland Tourist Office and they can help you plan your trip with the most up-to-date information. Go to: http://www.myswitzerland.com. Have a great trip! I am traveling from Rome to Switzerland on May 31st and will be flying out of Geneva on Jun 3rd at 11:45. I would like to stay near the swiss Alps and enjoy the beautiful mountains. However, I need to be able to get to Geneva for my flight so I am not sure if I stay only 2 days near the mountains and stay the last night in Geneva. Also, I would like to stay in Murren area but is it to much travel time that I will not be able to spend 2 days enjoying the beautiful scenery? Please help. I need to book my hotels and not sure where to stay? There you can make contact with your local Swiss tourist office. They are the ones who will be best qualified to answer your questions. Have a great trip! You seem to have good knowledge on Europe. I and my wife Tania are planning a trip from London to France-Switzerland-Italy from May 15 for about 10 days. Will it be possible to visit all these 3 countries in 10 days? In France I have only Paris in mind. In Switzerland, as I have gathered from the foregoing discussion, Luzern-Interlaken-Lake Geneva area-Zermatt-Zurich may be advisable, although I don’t know how many of these destinations will be possible in such a short time. I also have a train ride in Bernina Express in mind. Moving on to Italy, I was wondering if Venice, Rome and Pompeii may be possible. I will be grateful if you can make suggestions. Thank you. Wow! You travel fast. I travel fast also (my wife tells people I only give her 15 minutes to see the Louvre) but I think you may be pushing things a bit here. You can spend 2 full days in London and Paris (take the Chunnel train will give you some extra time in each city) which amounts to 5 days (including the train). Then take the high-speed TGV to Switzerland and spend one day/night in one of the cities (Zermatt is nice but it is a bit out-of-the-way, so I’d forget that on this trip and concentrate on the other Swiss destinations) and travel by train to another — you’ll see quite a bit of lovely Switzerland from the train. Switzerland is compact so you can take an early morning train and spend the afternoon and night in another city such as Luzern or Interlaken. Then take the train to Venice — spend 2 nights there so you’ll have a full day, and then the train to Rome for another 2 nights. You’ll never squeeze Pompei in unless you’re a magician. I’m certain a lot of readers are rolling their eyes at this point, but it can be done. I’d also travel extremely lightly (carryons only) since you’ll be living out of a suitcase and lugging luggage on and off trains. Thank you for your useful tips. Fortunately, I was able to curve a few more days. So I’ll go to Paris on 11 May and stay there 3 full days. On 15th I am going to Switzerland, and I have 4 full days there. On 20th I am taking Bernina Express from Chur to Tirano. From there to Milan and stay overnight. On 21st to Venice and, as you suggested, spend the next full day. On 23rd to Rome, and the next day take a Rome-Pompeii day trip. Sightseeing in Rome on 25th, and back to London on 26th. Thanks once again. Although I got a lot of information from your replies to readers questions. I am visiting Switzerland (4 days) from june 8th to 12th with my wife and kids of 12 & 14. Then for Italy for three days. This is our 1st trip to Europe. Please suggest best places to visit in swiss in 4 days and to stay in which cities. Any tips to save on expenses. Spent two days only in Interlaken, Grindalwald (and above)…. my hreart is still beating there. What else could be said….except i would love to be there again soon…. My husband and I are traveling back to Switzerland after 15 years with our two kids 13 and 12! We got married there outside of Lucerne! We traveled to Zermatt and the Lake District before! Where would you suggest this trip? We will be there in July! We want to do some great hikes! Thinking Interlaken…. Let me know your thoughts! Interlaken would be a great area, also the Lake Geneva region near Montreux (the Lavaux Vineyards, etc.). Have a great trip! Hi.. My husband and i will be in geneva and some places you’ve mention above.. This wil be our first time of going there and honestly we are very excited about it.. We are from asia and i just want to know what’s the weather like right now.. Fyi we’ll be riding on a motorbike so we plan to have a little luggage with us..so please advise us.. And one more thing how far is lucern to the nearest mountain? Really want to play with the snow..Thanks for your kind advise.. I can’t answer your questions re: the weather and distance to the mountains. You should contact Swiss tourism( http://www.myswitzerland.com) to get answers to those questions. You’ll have a wonderful trip! Hello I am Mahin.I love Switzerland.I think Switzerland is best of all country. I am planning my trip to Switzerland on 28th October for 3-4 days.. Which places should I visit ? Any recommendations will be helpful for my planning. You’ll likely find any of the places listed quite interesting. But since you’ll only be there 3-4 days, I’d choose to see the city in which you arrive and then travel to one of the places listed that is closest, or else you’ll spend half your trip on a train. Also check with the Swiss Tourist Office (Visit Switzerland) to see what they recommend. Have a windersful trip — Switzerland is a great place to travel through. i will be on official visit at Frankfurt and i have 2 days spare want to visit Switzerland also for 1-2 days. please suggest which city is best to visit now days and train journey is available from Frankfurt or not. Since you’re so short on time I’d suggest Zurich. There are trains available from Frankfurt. Have a good trip! Flying into Zurich on 12/29/15 and leaving on 1/6/16 out of Zurich. I will be meeting my mom flying from Asia at the airport. I would like to do a day excursion in some of the cities, and utilize either the 4 or 8 day Grand Train tour itinerary. My mom really likes easy day hikes as she likes nature and I don’t know if being on a train everyday is the best way to see Switzerland. Also, would the scenery from the train – would it all start to look alike after a while? That’s a great itinerary! I envy you. First off, you’ll find Zurich to be a great traveler-friendly airport. Stick with the train — the scenery is ever-changing — you won’t find it dull at all. Where will you be spending New Year’s Eve? Thanks for this highly useful blog…I’m planning to visit Switzerland for around 8 days during the last week of May this year. As you have mentioned, I am targetting Zurich, Lucern, Interlaken and Geneva. Hope it will not be biting cold in these places during May. Also looking forward to enjoy the scenic landscapes (snow-capped mountains, valleys, and the greenery) of these places. Will the trains be operational in May? Any suggestions from you would be most appreciated !! Thanks and wish you a happy 2016 !! We are flying to Zurich 12/5/16 and planing to catch the train to Lucerne stay two nights then travel to zermatt stay two nights then to Basel stay one night then fly to Venice stay for three nights. Does that sound possible to do? Do we buy a Swiss travel pass? Also do we buy that from the uk. I’m starting to feel nervous. That’s a great trip and very doable. You’ll find that the Swiss trains are very punctual and comfortable. You’re smart to be adding Venice on to the end, although you could have continued there by train rather than fly. You’re usually better off buying the Swiss Pass since it gives it gives you a lot of flexibility (perhaps you’ll want to take a side-trip somewhere). It also includes transportation on buses and boats (get on one of the lake steamers one afternoon and have lunch) as well as free entrance to many museums. Don’t be nervous at all — you’re going to have a wonderful time! You can discover Switzerland with ACP Rail’s all-in-one pass for the rail, the road and the waterways. Thanks for toomuch beautiful collection. I am planning to visit Switzerland with my family for 10 days. Most probably in September. I have a toddler and an infant. Our focus is on sightseeing. We are starting from Zermatt. I guess 2 days there. Kindly suggest where to spend rest 8 days. September is my favorite time to visit Switzerland. You’re planning your trip well. The crowds will have thinned out and you’ll find that the staff in hotels and restaurants will have much more time to speak with you. What is wonderful about Switzerland (in addition to the great scenery) is that everything works like clockwork and the transportation system is exceptionally well designed. The trains connect with buses that connect to lake steamers, etc. I’d definitely plan to visit Interlaken and Lucern which are quiet and picturesque and take a lake steamer on one of their beautiful lakes. 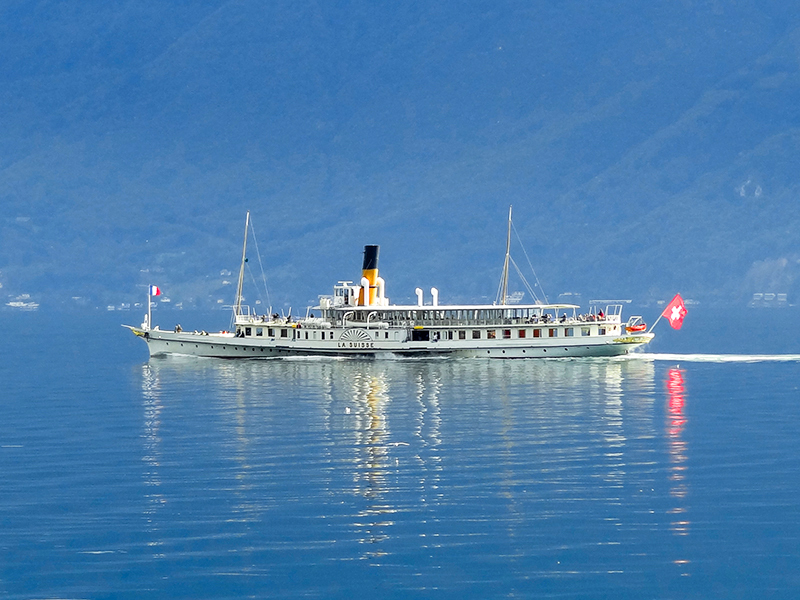 There’s also a great steamer trip to enjoy on Lake Geneva between Lausanne and Montreux and during September you’ll have great views of the Alps and the beautiful Lavaux vineyards (a world-heritage site). With small children in tow I don’t know whether you’d be interested in the larger cities but Geneva is near Lausanne/ Montreux (in fact, the steamers begin/end there) and you could continue on there or take the train to Zurich. A lot would depend on which cities you’d be arriving in / departing from. For me I’d do Zermatt, Interlaken, and Lake Geneva (Montreux/Geneva). We are arriving at Zurich. I guess 10 days in switzerland is alright for 1st time travellers like us. We have planned to stay in Gimmelwald for 2 days as well. So Zurich, Zermatt, Interlaken and lucerne. Not particularly in that order. Need some help with that. Also, do we need to buy swiss rail passes? We are heading to either France or Italy for 4 days after switzerland. I’ve visited Switzerland twice. I enjoyed my first visit to the country more… but I have visited Basel, Bern and Lausanne. The architecture in Basel was so lovely. I’ve visited the Olympic Museum and that was heaven. Oh my God, really amazing place, i will plan to visit this paradise very soon. One of the most beautiful country in the world, I will plan a vacation to visit this paradise of the earth. That’s a pretty ambitious trip since it takes a full day just to travel from Vienna to Zurich. I like to drive when I travel but in your case I’d suggest that you take the train and you’ll be able to see a lot more. It takes quite some time to travel by car about Switzerland due to the rugged topography. Trains are a lot faster since they travel more or less in a straight line through tunnels. The trains run like clockwork and connect with buses and lake steamers. Also, I imagine that you’re flying into Vienna, but where are you departing from? You certainly don’t want to have to drive back to Vienna. I suggest that you fly out of Zurich, which has a great international airport, or possibly, Geneva (you can visit the Lake Geneva area for some great scenery. 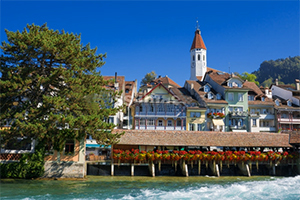 From Zurich you could take a train south through Lucern, Interlaken, Bern,and Lausanne where you’ll see plenty of lakes, rivers, castles, mountains, and quaint little towns, immerse yourselves in Swiss culture and find some great food. Remember also that car rentals and gas can be very expensive in Europe. Gas in Switzerland is close to $6 per gallon. I hope this helps! My brother, best friend and I will be travelling to Switzerland for 5 days during the start of August. We are all within our late 20’s and wondering where we could go hiking, enjoy beautiful scenery along with a bit of partying? This is a really interesting article! I never went to Switzerland but I will fix it ! With this amazing article we just want to book a trip and go there !! Switzerland’s little Italy seems really lovely !! Hi Jim..its great reading what you write. I am in munich and me and my wife (who is pregnant) are planning to visit for 4-5 days..We have planned 2 nights in lucerne and 2 nights in Interlaken..Do you think it is a reasonable plan or would you suggest utilising this precious time in any different places. Can you suggest couple of things we must do to there(considering my wife is pregnant). Help would be greatly appreciated. I think that spending 2 nights in Interlaken and 2 in Lucern is perfect, especially since your wife is pregnant. I’d spend a day walking around each city, and visit the local tourist office to see what one-day excursions (that will be easy for your wife) are available. I bet you’ll have a wonderful trip to Switzerland. Thank you Jim. Really appreciate your valuable advice. I am taking a taking a river cruise from Budapest to Prague (on the Blue Danube RIver) in late April. I would like to visit Switzerland prior to river cruise. What city would you recommend for a 2 night stay? I am wanting a city that there is airport service and ease to go to Budapest. I had heard that Lucerne is a must see. Finally I am interested in saving money, so I was going to look into home for rent, rather than hotle. Do you recommend this? I would stay in Zurich and take a day trip by rail to Lucern, which is quite close. I’ve done this and it’s quite easy. Zurich also has a superb airport where you’ll easily be able to reach anywhere in Europe. Amazing blog with great information. Thanks dear for sharing this amazing blog article with us and keep it up. Hi Jim, my wife and I are planning a winter vacation for 1 week in Switzerland dec29 till jan6 2017. What would you suggest to visit for this period? We wanted to try a day of skiing at zermatt. Also where to spend the New Years? Hi Ottavio, This should be a great trip. Most travelers only think of vacationing in Switzerland during the summer but winter in Switzerland is a great experience. Your question as to what to see is hard to answer because I don’t know where you’ll be arriving, has quickly do you want to travel about, etc. Go to http://www.myswitzerland.com/en and you’ll get plenty of ideas, and it will provide info on New Year celebrations all over the country. At the bottom of the page you’ll find a contact form to get your questions answered. 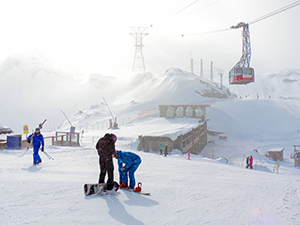 Regarding Zermatt, it’s an incredible place to ski but be aware that you’ll be there at the height of the high season. It will be very crowded but the experience will be great. If you plan to stay overnight in Zermatt I suggest that you contact a travel agent ASAP to find out what may be available. You also may want to check apartment rentals in Zermatt. We stayed in one and found it very comfortable and convenient. Cities such as Lucern and Interlaken, as well as mountain and lakeside towns are beautiful in the winter. I hope this is of some help. Have a wonderful time! Your blog is really useful. My husband and I plan to go to Switzerland. I hope we will be able to enjoy our moment! my wife and i are planning to visit Switzerland for the 1st time in sept. 2017 … for first timers with 6 dayd to spend what do you suggest we see and where to stay? There are numerous companies that offer holiday rentals in Switzerland. The Swiss Tourist Office, for example, lists many — go to . Google “holiday homes Switzerland” for numerous other listings from airbnb, Home Away, Rent By Owner, and many others. 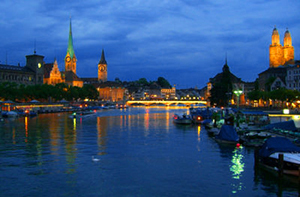 My wife & me are visiting Switzerland in the 1st week of July (landing Zurich on 4th July). I plan to stay in Swiss for 6 nights and head to Nice on 10th July and later to Paris on 13th July. c) Itinerary – Based on your experiences, which would be an ideal one as er the dates & stay period. d) Travel – I need advice on whether to buy a Euro rail or go for a Swiss pass? Since I am also visiting Nice & Paris.. not sure about the mode of transport I should consider. I don’t quite understand what you’re asking me to check. HI, I am planning to visit Swiss with my family, someone who have travelled and experienced. can say what is the best time to travel and places to visit. Hi Jim… great interactions and valuable advices. I am planning to travel to Switzerland with my wife and 4 yr old daughter and 6 month old baby for 10 days. 4 days in Zug, 3 days in toffen and 3 days in Zurich. We love nature and scenic places. Any specific advise? We are open to make changes to itinerary. do let me know. Touring Switzerland is one of the best feelings if you want to enjoy the best tour of your life. Really Thanks alot for this informative Post with images.Switzerland is my Dream place and I have no any idea about these places but after reading this post and see images I feel wow its amazing place. Zermatt, Lake Geneva Region is a nice place and really I will go there in these places. My wife and I will be landing in Zurich on July 2 and returning home to the US on July 12. Everything else is uncertain and we want to make the best use of our time. The only requirement is that I want to drive through some of the most scenic Alpine passes in a convertible rental car that we rent in Zurich and return at a different location, maybe Interlaken. We’re considering driving south from Zurich into Como or Lake Maggiore. Can you suggest an itinerary based upon these few requirements? Is Zermatt a must see? Is it too far out of the way? I like the way you’re traveling — getting a car and just taking off without a detailed plan. I do it all the time myself. I can’t tell you which are the most scenic passes because to me they all are. Since you only have 10 days I wouldn’t include Como — it’s just too far out of the way. Leave northern Italy for another trip. And I wouldn’t include Zermatt if you’re driving by car either; it’s not very car friendly and it will be quite crowded in July with hikers. Head from Zurich through Lucerne and Interlaken and concentrate on the Alps south of there. If you leave the car in Interlaken there’s good train service to Zurich airport from there. It’s an efficient airport. I hope this is of some help.